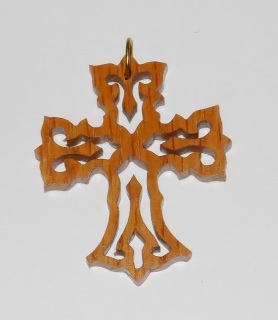 2" wide by 2 1/2" tall, with jump ring. 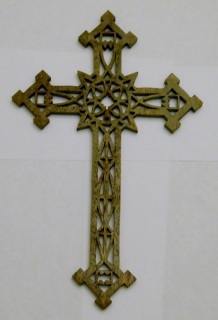 2 3/4"w x 3 1/4" tall. Available in walnut (shown), cherry or oak. 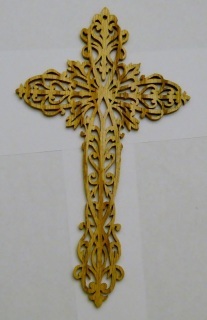 3 1/2"w x 4" tall. 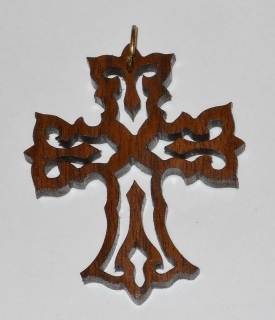 Available in walnut (shown), cherry or oak. 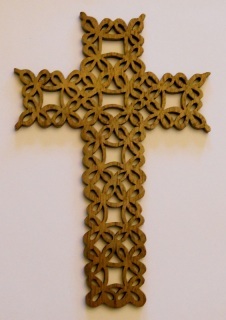 4"w x 4 3/4"tall. Available in walnut (shown), cherry or oak. 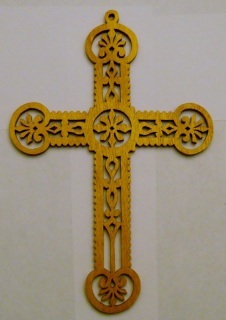 2"w x 3 1/4" tall, with jump ring, various woods, mahogany shown. 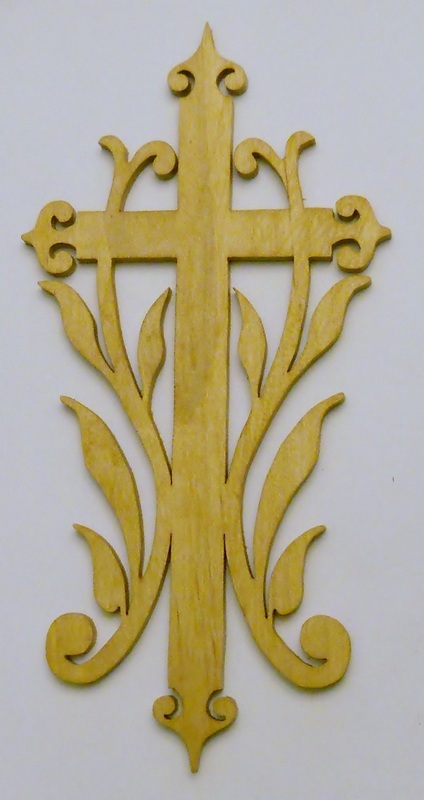 5"w x 7 1/2" tall, goncalo alves. The color streaks occur naturally in this wood. 5 3/4"w x 8 1/2" tall, yellowheart. 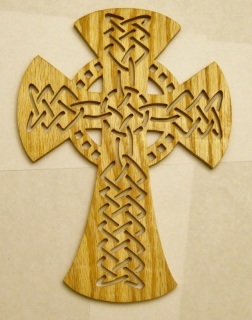 8" by 11" tall, oak. 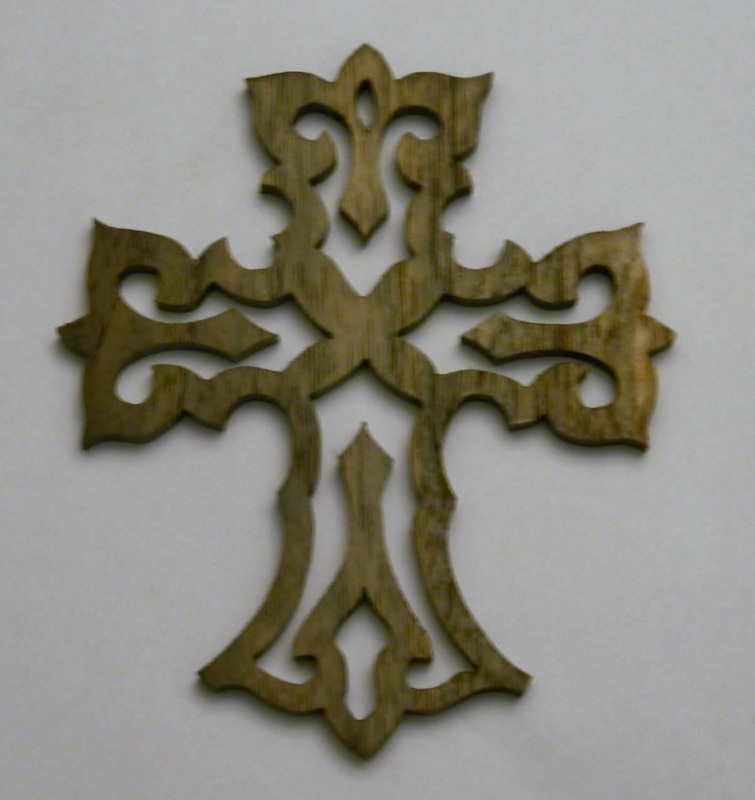 10 1/4 w by 16 1/4 tall, cut from 3/8" thick walnut. 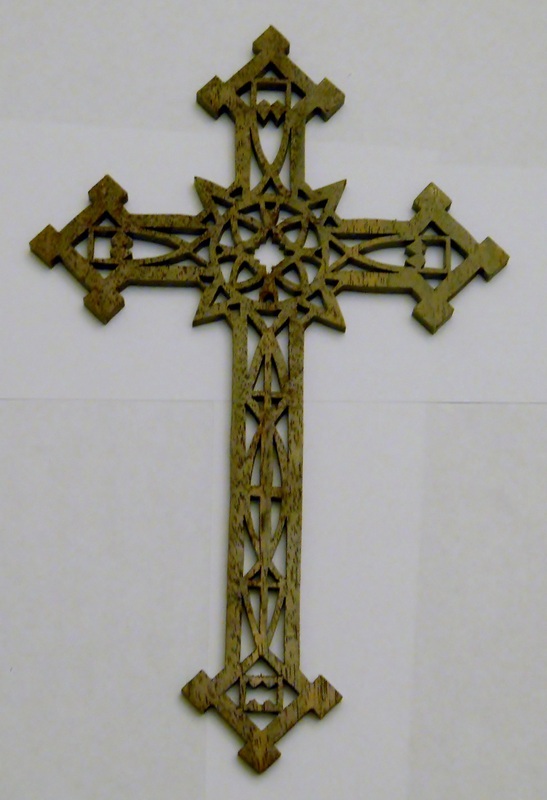 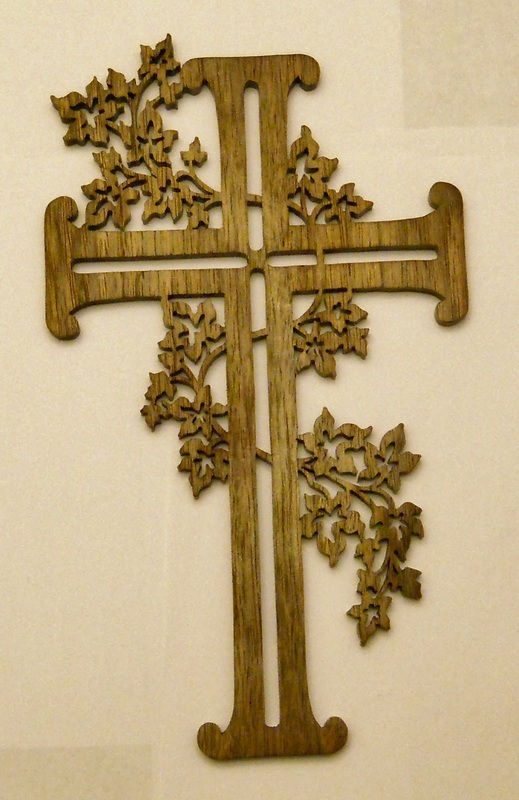 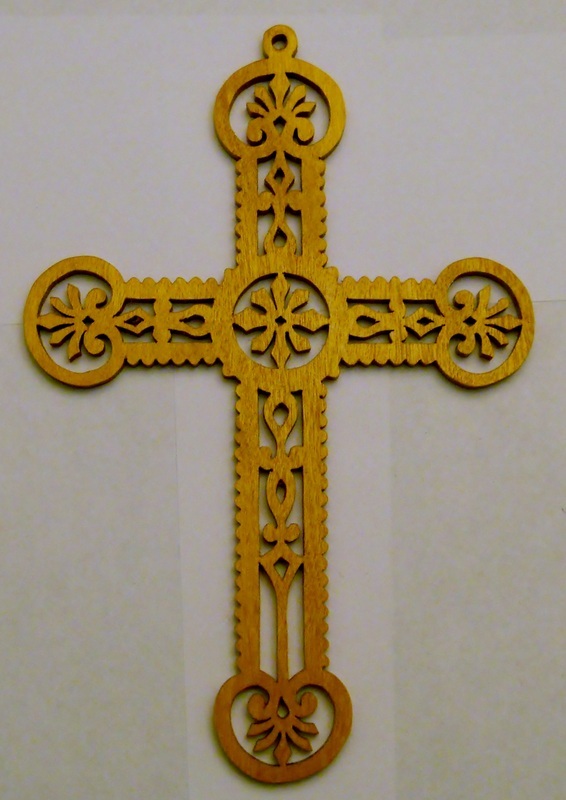 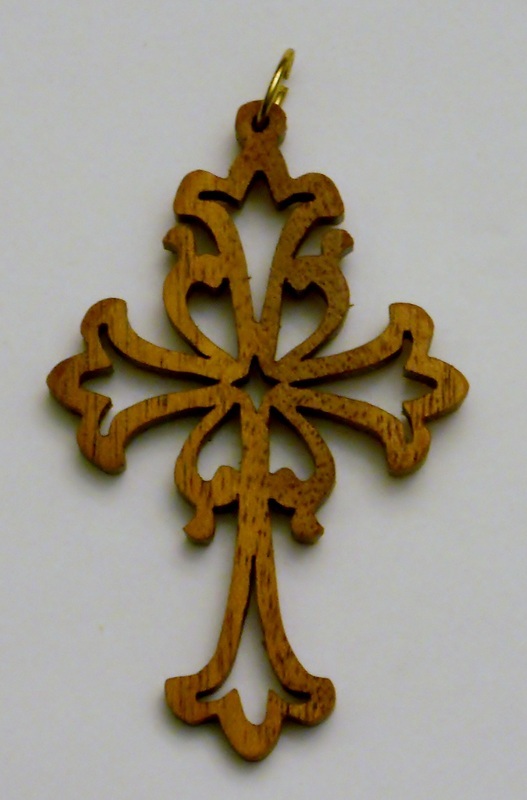 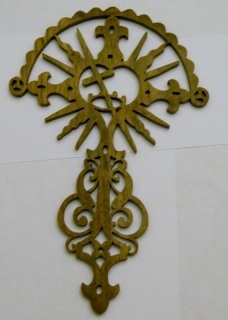 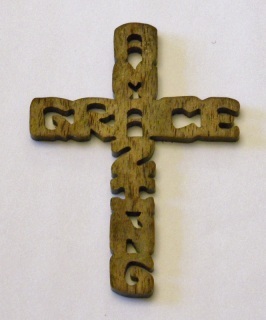 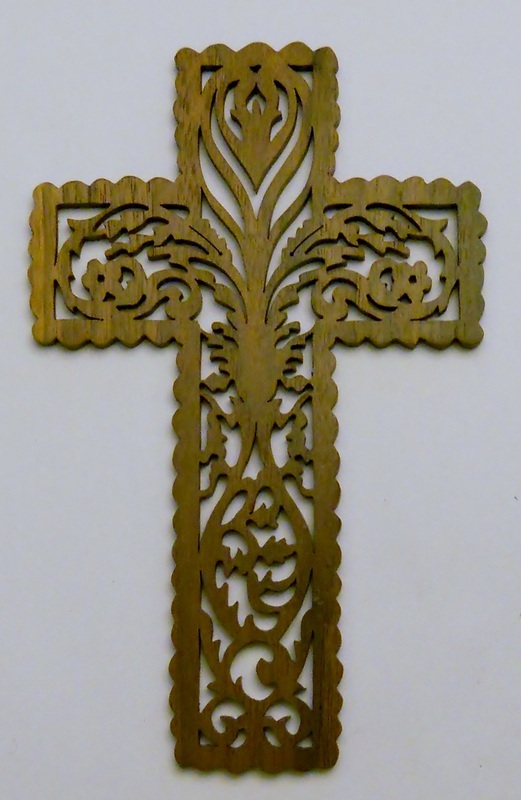 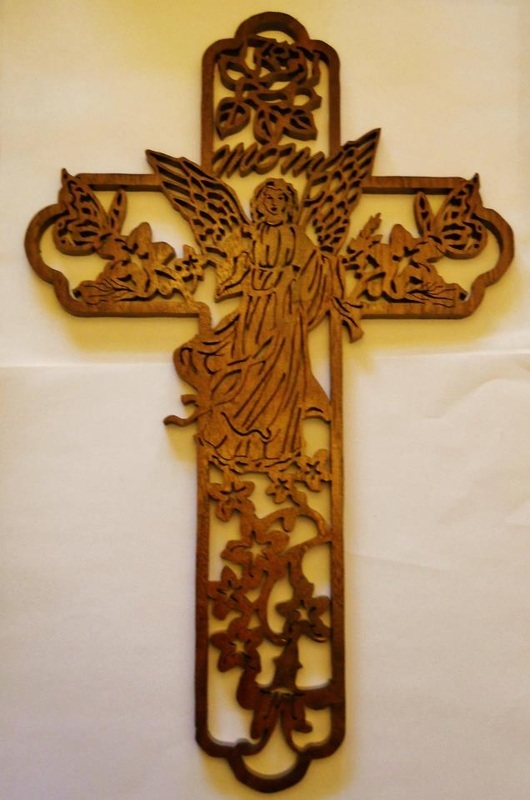 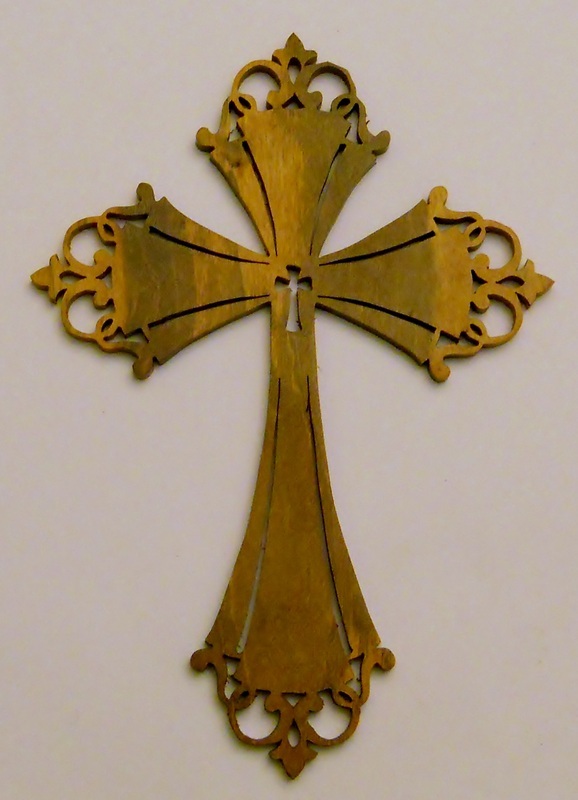 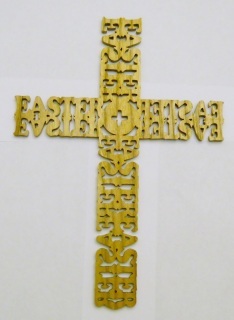 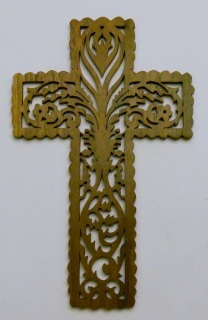 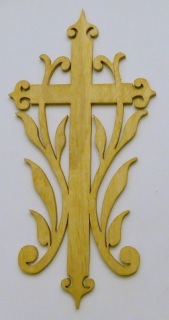 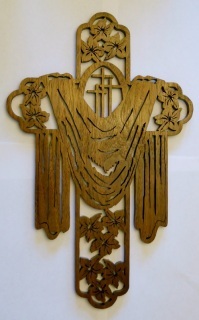 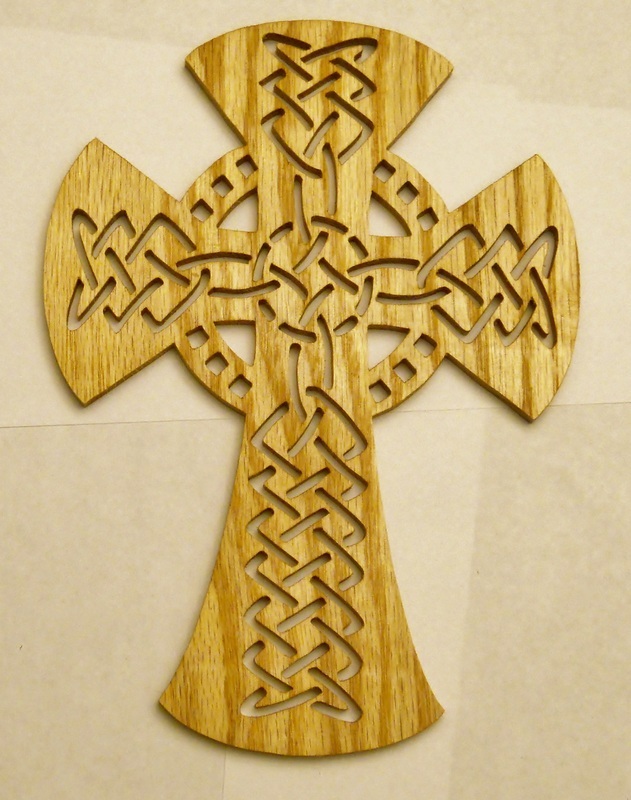 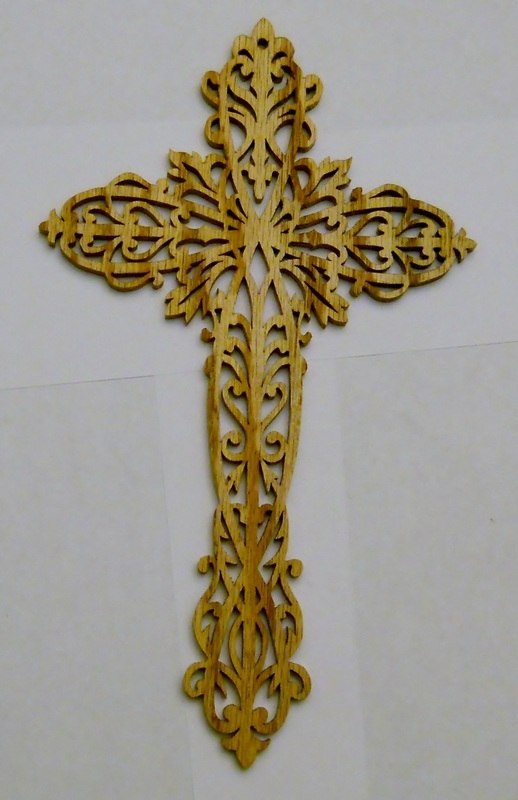 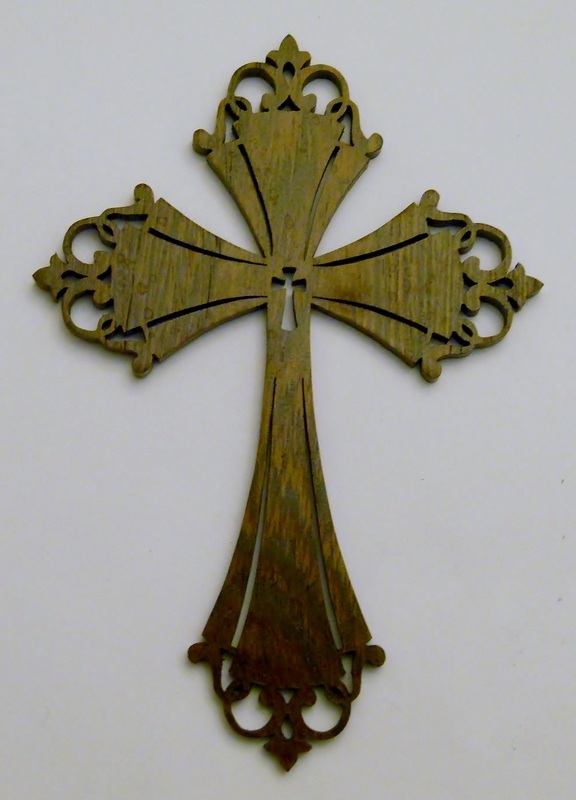 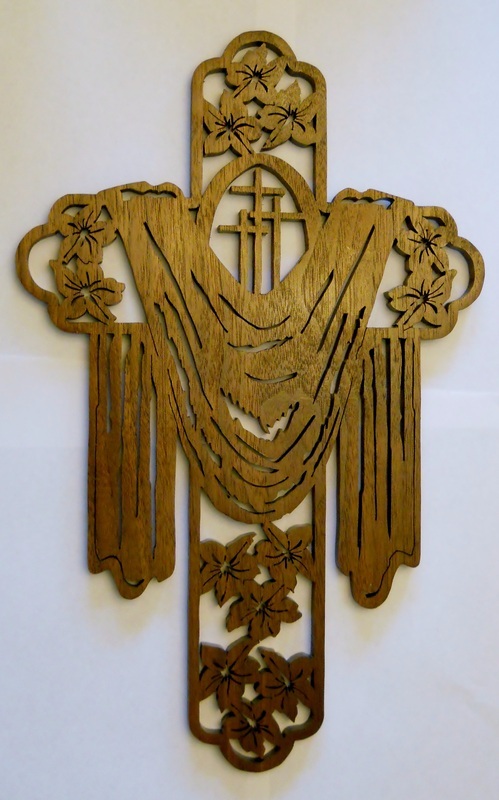 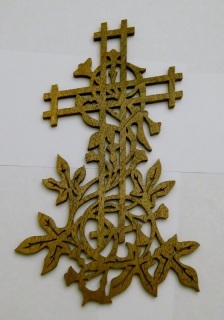 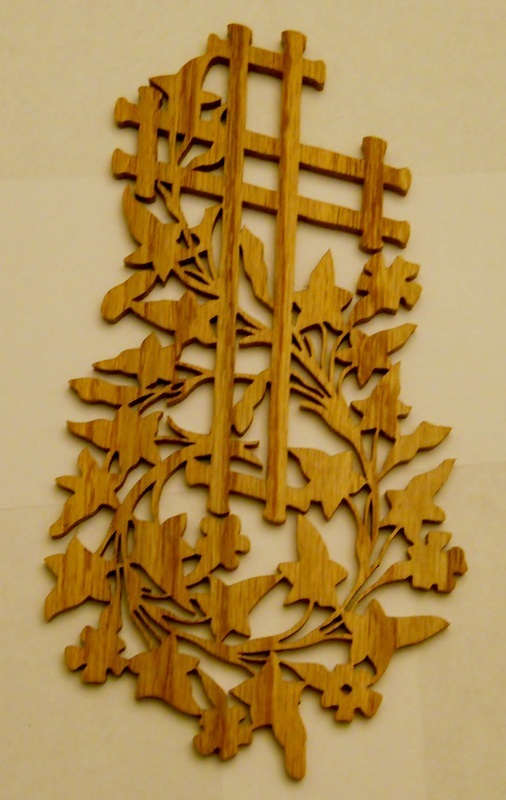 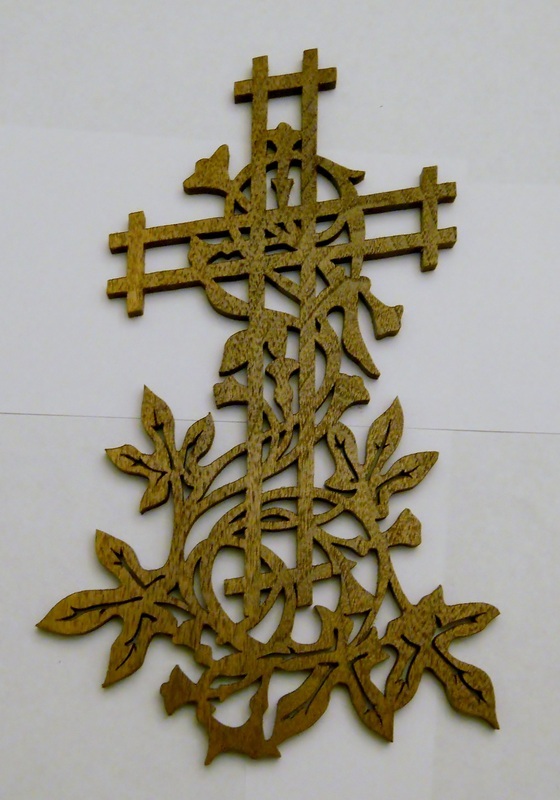 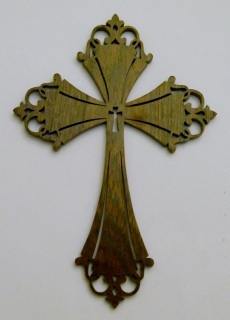 This intricate cross measures 9 1/2" wide and 15" high. 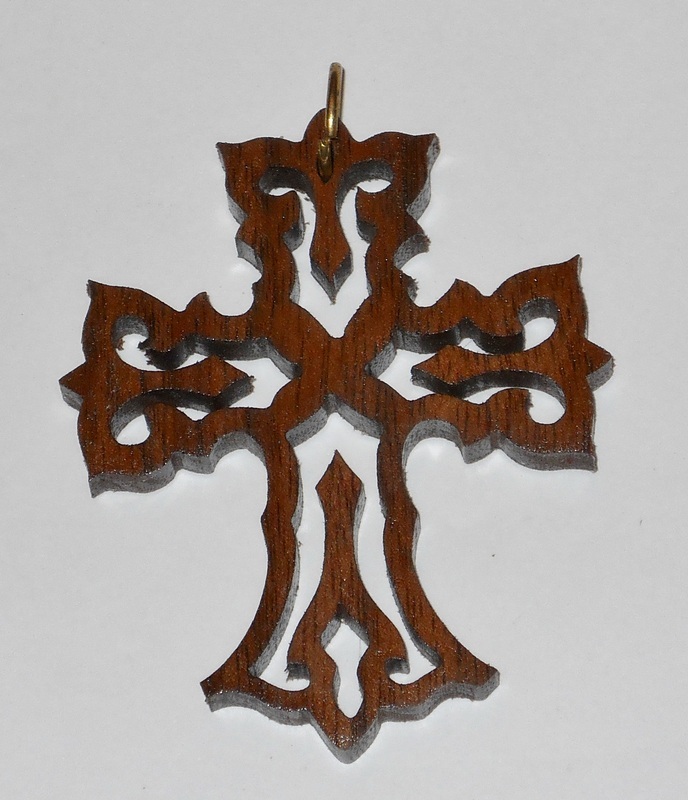 It is cut from 3/8" thick walnut.